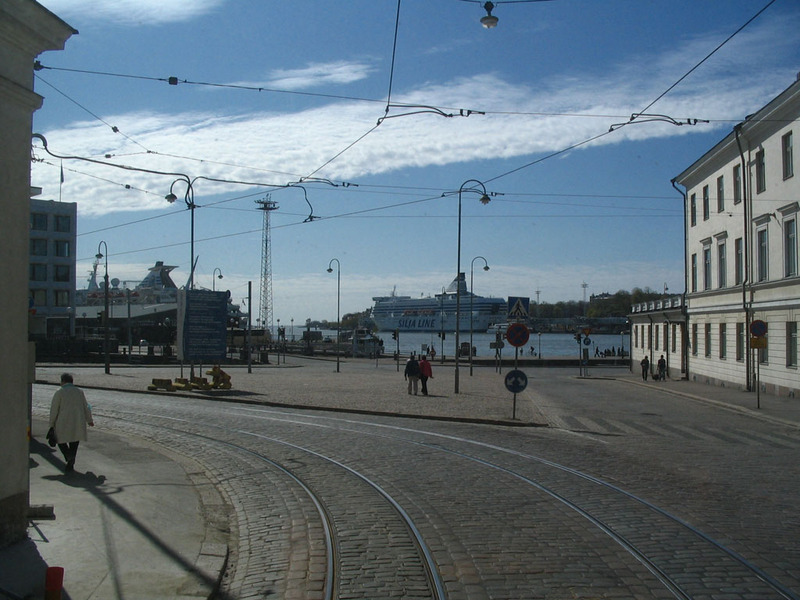 The next day I bid adieu to Katajanokka and Helsinki. 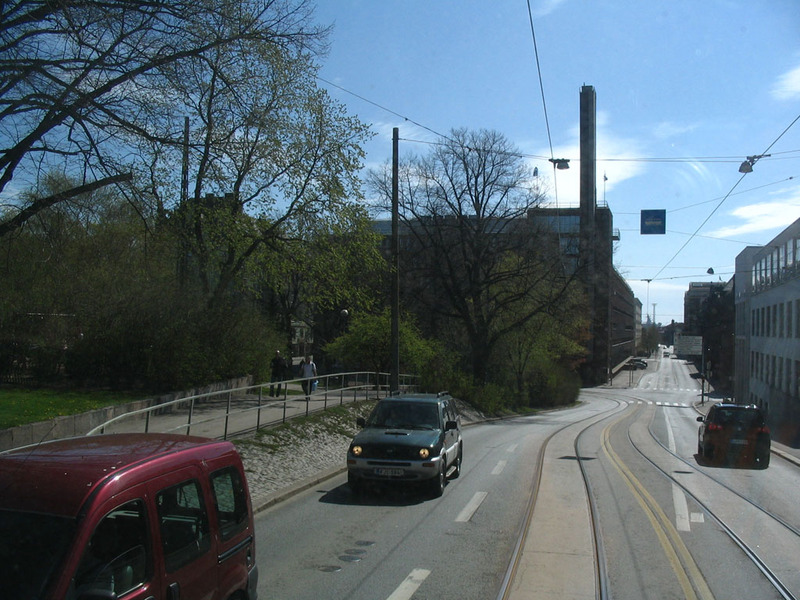 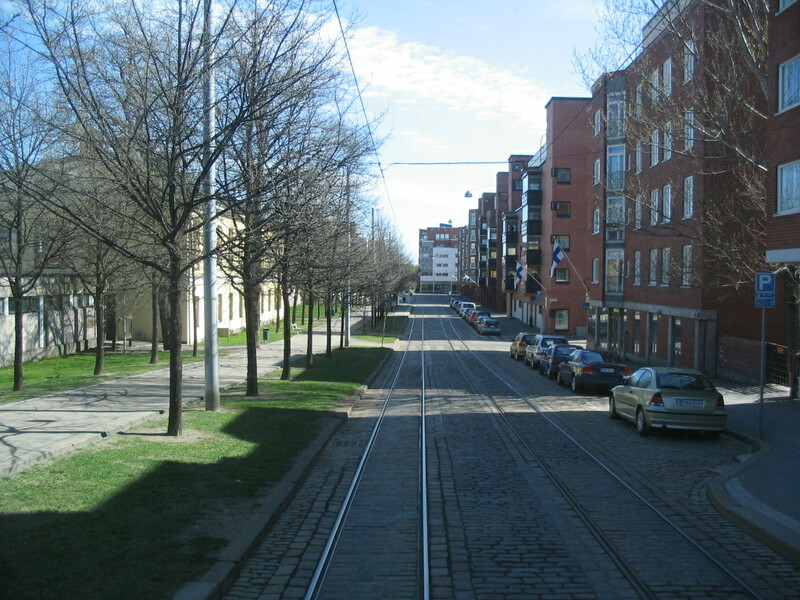 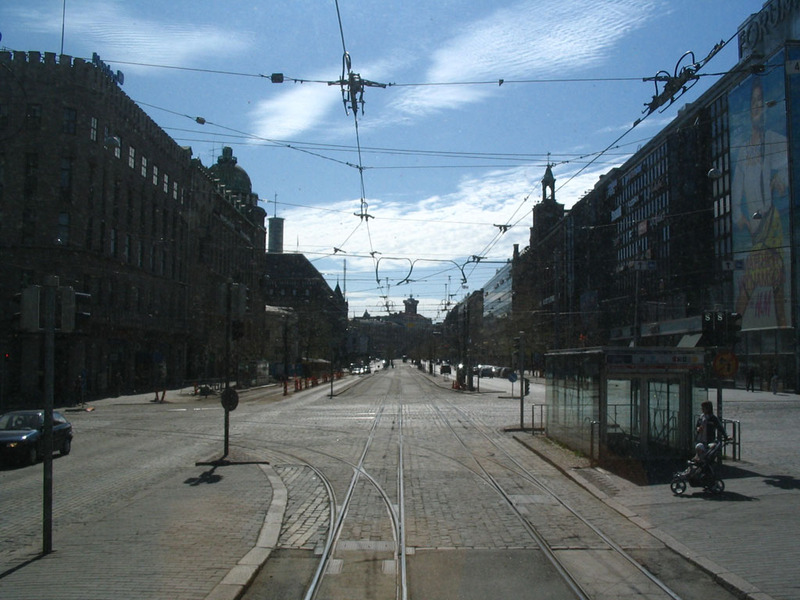 I took this series of snaps on the tram ride to Kamppi, whence we would catch the bus to take us back to Utö. 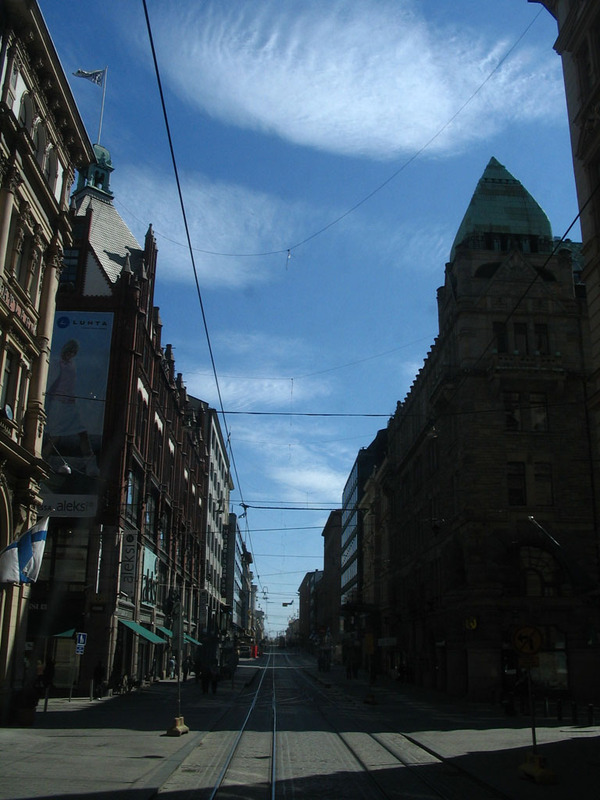 I sure hope it's not an enormous amount of time before I get to Helsinki again. 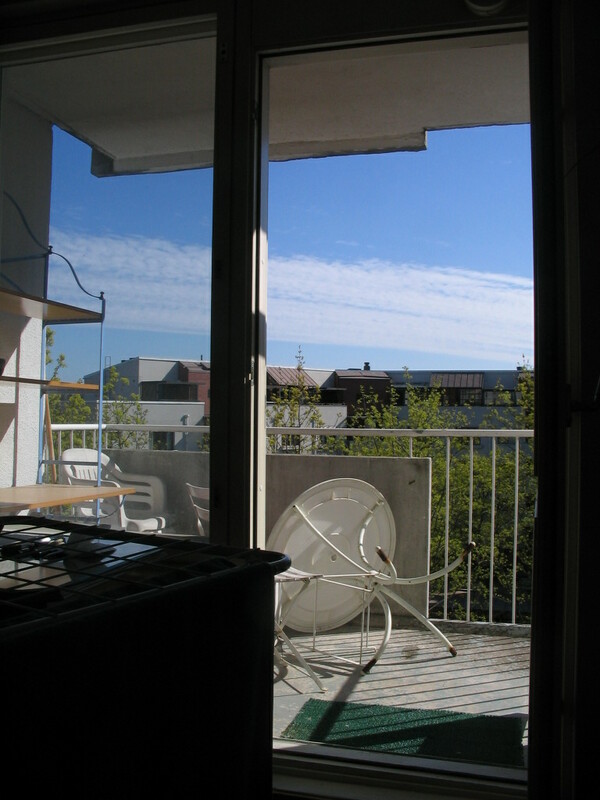 Bye, bedroom and balcony. 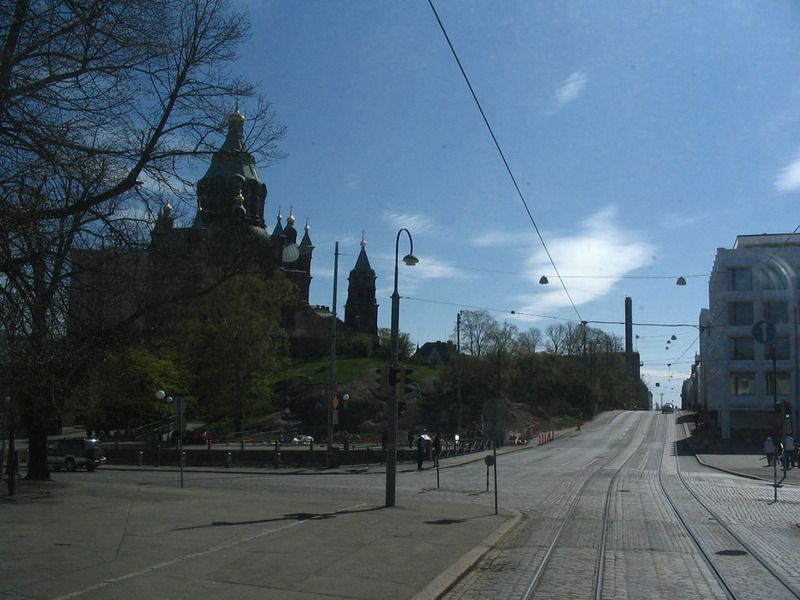 Note the foliage just starting to green up nicely. 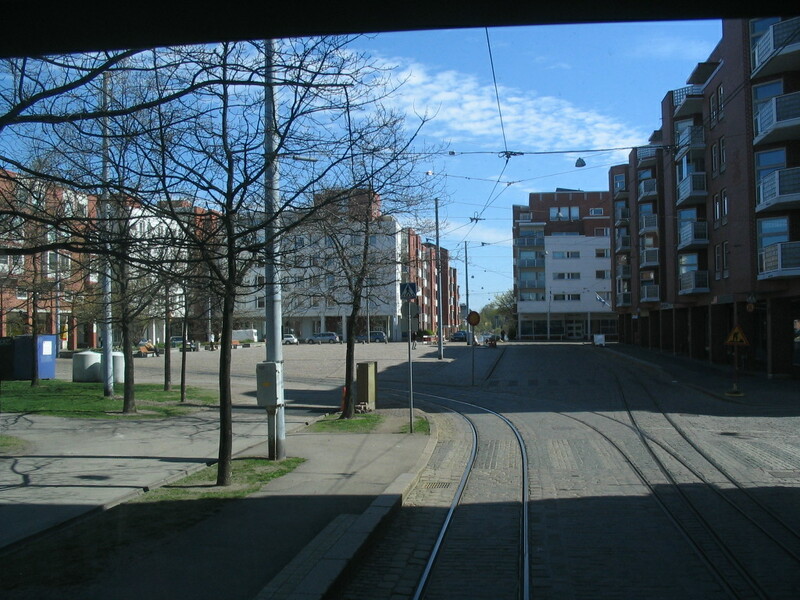 Merisotilaantori receding in the distance at the end of Merikasarminkatu. 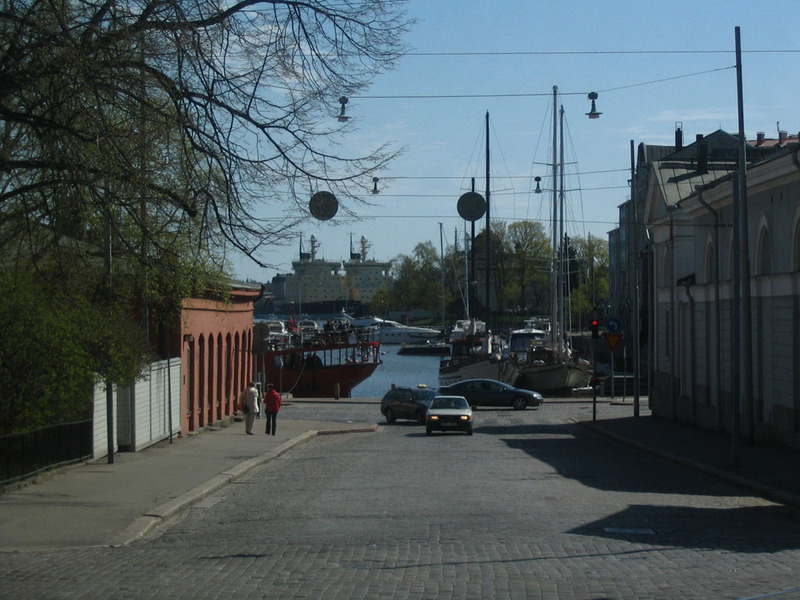 One more glimpse of the icebreaker twins across the water, just after turning onto Aleksanterinkatu. 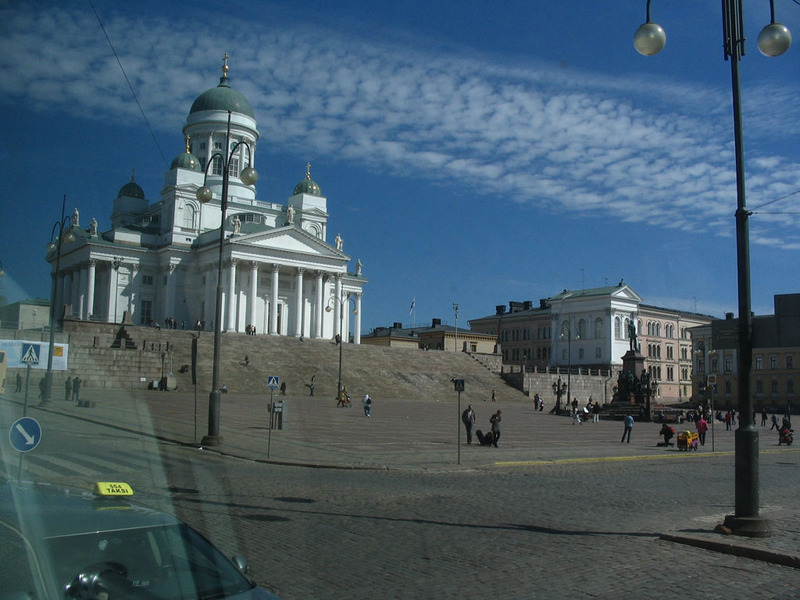 And one more Senaatintori scene. 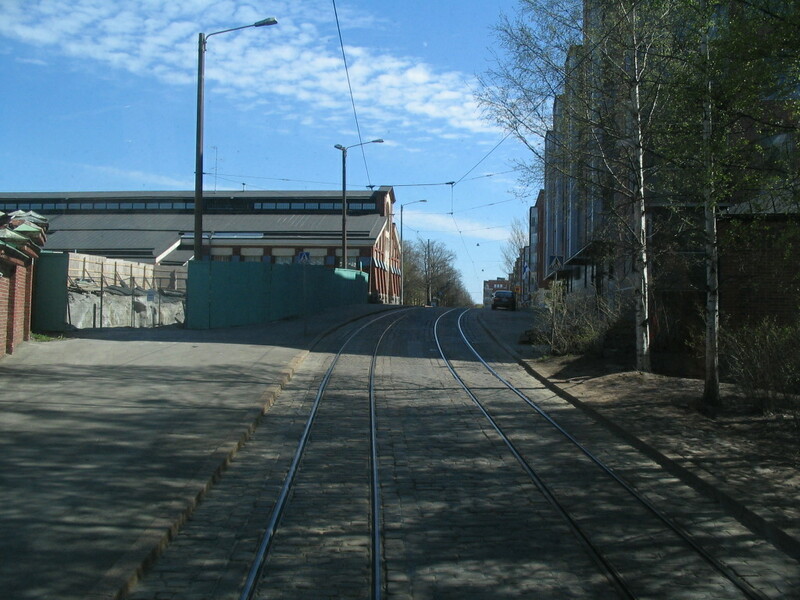 There go Pohjola and Aleksi. 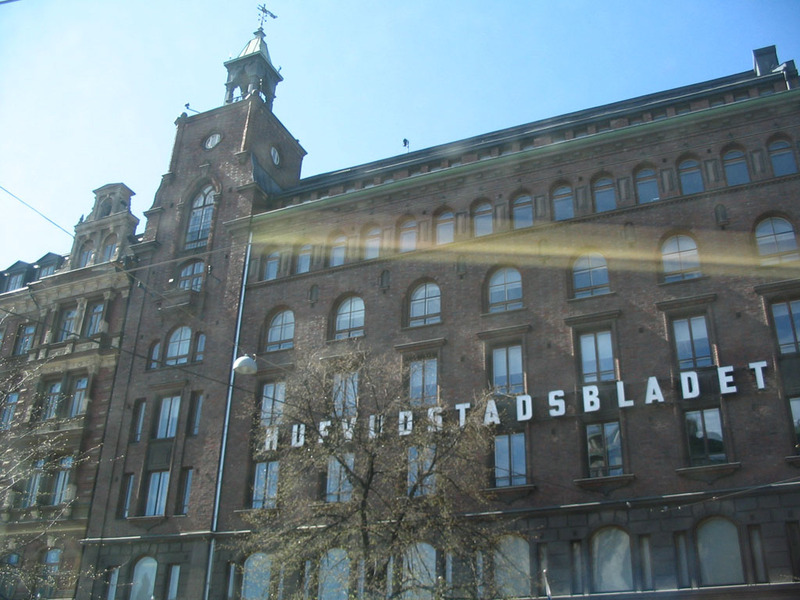 Out onto Mannerheimintie and past the Hufvudstadsbladet building. 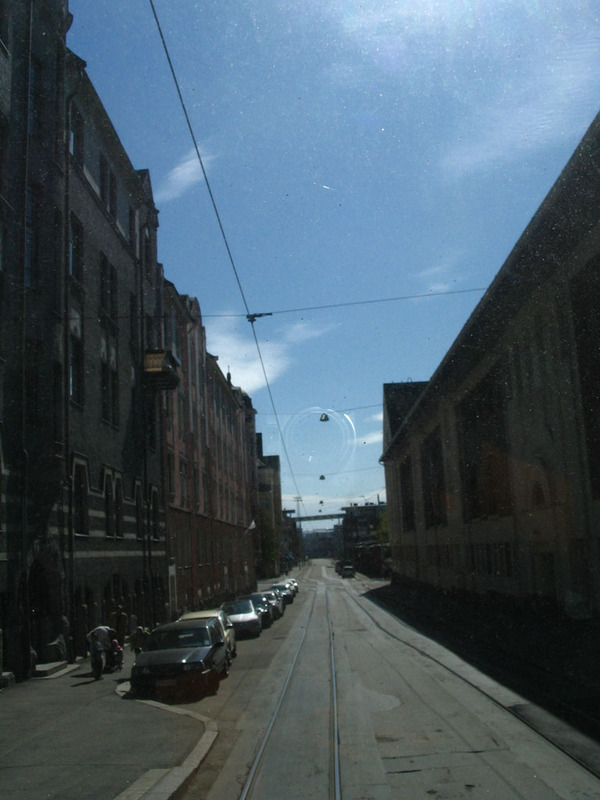 Still so cool!